This is part of The Shadow League's Women's History Month In Focus series celebrating excellence in sports, entertainment and culture. This is part of The Shadow League’s Women’s History Month In Focus series celebrating excellence in sports, entertainment and culture. Growing up in Queens, New York, Ros Gold-Onwude, a sideline reporter for CBS and Turner Sports March Madness coverage team, had serious pill skills. But she was a bit intimidated to get in there and mix it up with the boys. You didnt see many girls running full courts in the multi-ethnic, concrete playgrounds of the Q-borough. So girls that were ’bout-it had to get in there and ball with the boys. 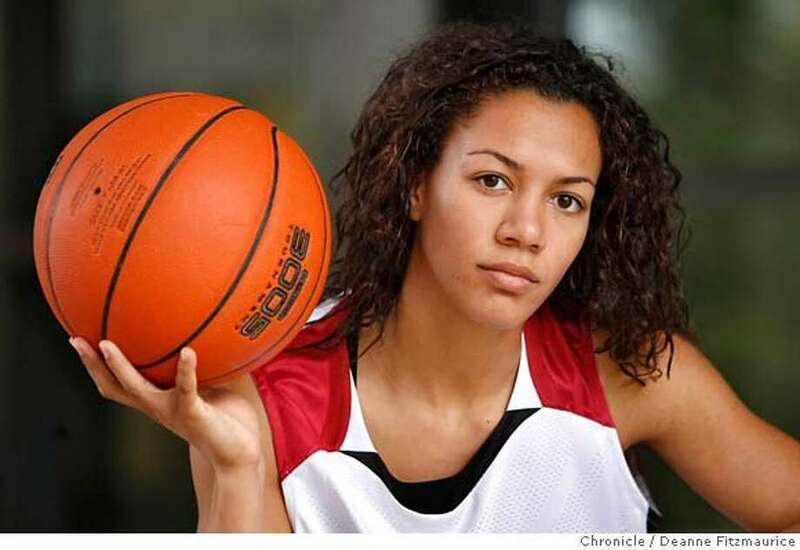 When Gold-Onwude spoke with The Shadow League in anticipation of the impending 68-field March Madness extravaganza, she says that once she was able to overcome the fear and call next, she found out she could hang with the boys, and it gave her a self-confidence and mentality that would last a lifetime. That mentality has helped Ros – a former standout baller at Stanford and currently a basketball analyst for ESPN, the Pac-12 Network, the WNBA’s New York Liberty on MSG, as well as as a reporter for the Golden State Warriors and the San Francisco 49ers – navigate successfully in a male-dominated profession. Growing up and playing ball in the parks in New York really helped me, Ros told The Shadow League at CBS and Turner Sports March Madness Media Day. I remember I used to be afraid to call next with the guys. My mom used to come out to the park and say Ros, go play.’ I’d tell her, ‘Mom, please get away…dont come out here. Then she would go and I would get next and then I learned that I could really hang and it gave me confidence and taught me how to deal with people and be comfortable in my skin — especially around boys. Even now in the NBA, the respect starts with the foundation that they respect my knowledge and my grind. I come in on time. Im hustling. Im working hard. People joke that I’ve got 30 jobs. But even the guys in the locker room with the Warriors… they will acknowledge all of the places they have seen me. And it’s almost to a point where they respect you and are rooting for you. 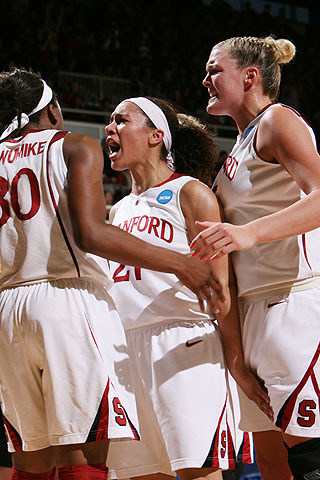 After a sterling career at legendary Archbishop Molloy High School, Stanford made three consecutive Final Fours during Gold-Onwudes time at the University. After completing her college career Ros says, I was doing a lot of odds jobs and my first job out of school was a rotational program job with Tesla Motors. But that wasn’t my passion. Sports and basketball is my passion and I’ve been playing since the age of four. Ill always remember those days of being in the office, but my office is now the court and I’m excited. Everyday I wake up to study and learn and share the stories of these athletes . And thats kind of where I’m at right now. She didnt get there overnight. Ros had to pay dues, hone her craft, show major initiative and work for free before she secured her first contract. Ros tells The Shadow league that she first started out writing for the Stanford Cardinals football teams recruiting website and doing digital content for gostanford.com. Whatever sports teams would let me call games or do interviews I would do it, Ros, 29, tells TSL. She was was also teaching a public speaking course at Stanford and worked at the school radio station. She was even coaching her landlord’s daughters hoops squad to get half off of her rent. Just as she was on the cusp of abandoning her broadcast dreams, Ros says she had a breakthrough moment. It was when my I created our own digital show, Gold-Onwude tells TSL. “Pac-12 Network was starting. I pitched it to them and they said I can do this for them on the digital website for womens basketball each week before the network starts. They couldn’t pay me, but felt it might help me later. We did it. My boy and I used to drive an hour to Walnut Creek and an hour back and then spend all night putting it together and the next year the Pac-12 network started and I got my own contract. Ros is one of a growing number of women of color who are entering the world of sports broadcasting and breaking barriers. Shes in the NBA locker rooms, reporting on a wide variety of topics and respected to the fullest. Her interviews are among the more anticipated ones for all parties involved. You never know what can happen. She says she expects more and more women to enter the locker rooms of male sports in the upcoming years because the multitude of media outlets allows unlimited reach for those who dare to seek it. I think now there’s no excuse for women not to have a presence, Gold-Onwude stressed. “With digital content…you can do everything on your cell phone. Shes a young star in the game and should definitely be highlighted during Womens History Month, because shell be making it every time you see her face on the March Madness screen.